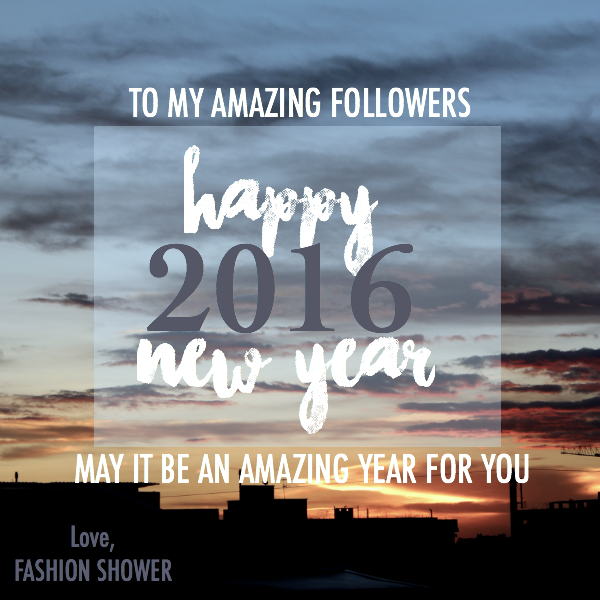 Goodbye 2015 and Hello to the New Year! This year was so amazing: I started my blog, my YouTube channel and that just opened so many doors for my. I rekindeled my dream of working in fashion and I can see I am closer and closer every day. This year brought challenges and lots of hard work, but the more I work the more I love it. Thank you so much for your support this year, it has made all of this possible. I hope that 2016 brings more challenges and more goals. Expect more content from me and I wish you guys a wonderful New Years and a 2016 filled with blessings and love!